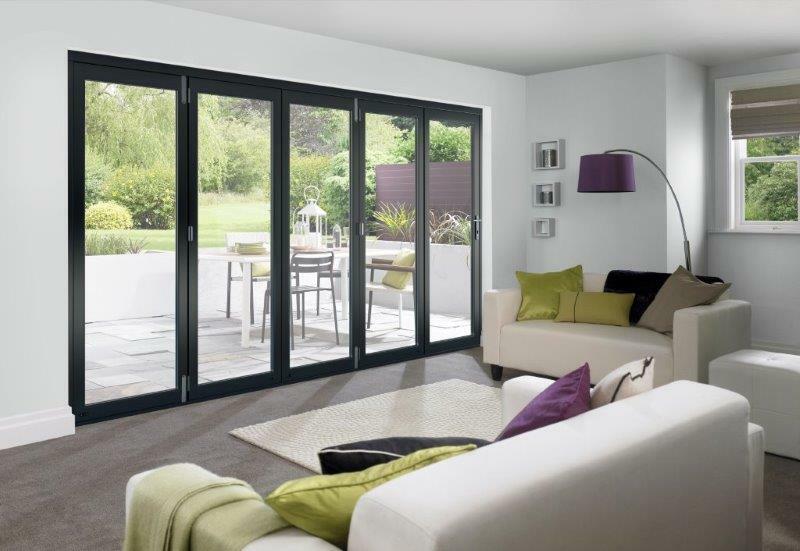 Vufold, the leading British manufacturing retailer of bi-fold doors has announced that it’s ever popular Master range of external doors is now available in a grey finish on its 1.8, 2.1, 2.4, 2.7, 3 and 3.6 metre wide door sets. The Master range is manufactured using a 'slow grown' hardwood core and has 54mm thick doors that are finished off with hardwood veneer that has a crisp three coat factory-applied finish. Classy stainless steel hardware completes this durable and totally affordable product. The Master Bi-fold doors come with slim stiles to give customers a bigger glass area that affords more light into the home. Up until now the Master range of bi-fold doors has only been available in a crisp brilliant white but customer demand has lead the Cheshire based company to add an alternative grey colour to three quarters of the range. The full Master range has options of three, four, five and six door sets with a price range from £1419 - £3359.